Will set up the wiki somewhere today. Website will come later once I finishd building it in Ruby on Rails. It's running the basic config only at the moment, so if anyone wants to help out setting it up with images and the likes, let me know. If you need any photoshop work done lemme know, I'll be sending my addon buddy over to this site to start filling it out when there's places to put stuff. I will start with the documenting really slowly as I work further on my Addons. 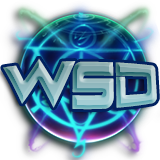 I will create a specific sub-page called Wildstar API, which will host all sub pages then like on the NASA wiki. Will be linked from the main site. Plans are to include guides and tutorials as well at some point. change logs have been copied from the official site. How does something like this look for starters? Have anything particular in mind? You should create templates for function / method / event formats. I've created a template called Template:Library, which contains the code for displaying all subpages for Events and Functions. Not really sure what I am missing now. As I said, I'm not a pro at this..
Now it shows the sub pages properly. I will make more templates as needed to keep common sections easier to use. Slowly getting the hand of this wiki stuff now.